Be the first to secure your tickets for the GIANTS AFL season! 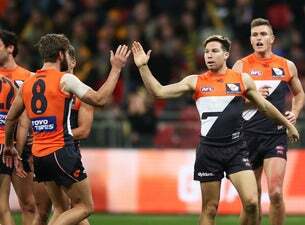 There’s no better way to spend your weekend than watching blockbuster footy at GIANTS Stadium, and the GIANTS know how to put on a show. From Fan Zone and inflatables to great value food and beverage options and heaps of giveaways, there’s something everyone in the family can enjoy! Secure your tickets today.